Chujie Tech is an innovative media platform offering cutting-edge insights, communication and cooperation opportunities both online and offline, to trigger collision of different people, companies and industries. We build cross-industry knowledge from healthcare, automobile, ICT, industrial engineering, finance, etc. And bring it to the changing business community through a combination of digital media, global evets, consulting and customized services. 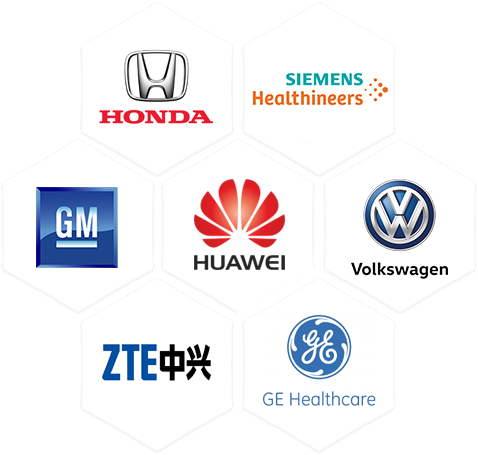 Different industry leaders are connected in our platform from Fortune 500 companies to emerging new startups. Their professional knowledge and innovative ideas push and expand the industry boundaries. This is what Chujie Tech values and respects. Real expressions of delight from truly satisfied customers! The event is well organized and professional. Thank you Chujie Tech for your efforts. Chujie Tech helps a lot when I need, not only during the summit. Thank you guys! Our clients include big and small organizations, from both private sector and public sector. Be it internal events or public events, working with an event agency in Singapore is the sensible thing to do to ensure a smooth experience for all parties involved in the event management. We build a business media specializing in enterprise innovation. Industry leaders and players are gathered here to learn, to express, to communicate, to find opportunities. This is where different industries collide. We are a B2B service company actively planning and organizing high-level strategy and technology events, with main focus in healthcare, automobile, ICT, industrial engineering and finance industries. We bring our cutting-edge insights and cross-industry knowledge to the constantly changing business community, through our specialties – big data, analytics, strategy, innovation, technologies and connections. View all services Enquire now! Chujie Tech is an innovative platform offering cutting-edge insights, communication and cooperation opportunities both online and offline, to trigger collision of different people, companies and industries.